When a road trip is right around the corner, repairs and preventative maintenance are necessary. As the summer winds down, consumers stop planning road trips… or do they? Are Road Trips Really Just For Summer? According to Google Trends, consumer searches for “road trip” on Google have peaked in late June or early July in the last three years. However, there’s still a substantial number of people researching road trips in mid-November, and again in mid-December. 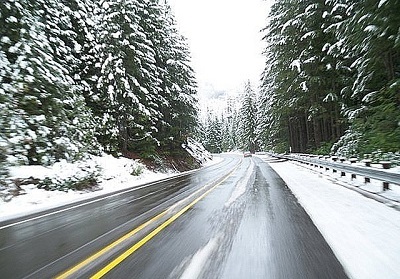 So it’s a good idea to ask your customers about holiday road trips in the fall and winter. You want to make sure that they’re adequately prepared for a long trek in cold weather. Preparing for a road trip in cold weather isn’t like preparing for one in warm weather. Cold weather breakdowns are much less fun than warm weather breakdowns. If you get enough requests to prepare a vehicle for a long trek in cold weather, you can consider putting together an all-in-one package deal. Put up a sign in the customer area saying something like, “Going on a road trip soon? Talk to us; we’ll help you prepare for it.” Or put up a sign listing all the necessary services to adequately prepare a car for a fall or winter road trip. You want to invite the customer to talk to you about their upcoming road trip and possibly inquire about the services your shop offers. It’s important to keep the conversation as open and welcoming as possible. It’s a great way to build trust between the customer and your shop.